In a nutshell, a merchant account enables you to begin accepting credit card payments over the Internet. It’s a ‘liaison’ account linking your customer’s credit card account with your own business account. Sounds simple right? So what’s the first critical error many online businesspeople make? They assume that all merchant accounts are alike. Of course, this faulty assumption has lead to much e-commerce frustration – and more than one e-business crisis. Ask any merchant who’s spent a day on hold trying to resolve a simple chargeback, been drained by vampiric fees, or attempted to reach an elusive customer service department about increasing a monthly limit (while business grinds to a standstill online). Transaction Fees: A transaction fee is a fixed charge for every online transaction performed online. If you are selling a small number of high-end, high-margin products, the transaction fee is going to be basically irrelevant. However, if you’re selling books or CD’s or similar low-margin products, a high transaction fee has the potential to take a sizeable chunk out of your profit – so beware. Discount Rates: A discount rate will be a percentage charged to you for every online sale you transact. Remember: by itself, a low discount rate means nothing. Look at a merchant account’s entire rate and fee schedule, as well as other service features. Chargeback Rates: Chargebacks stem from returned or repudiated purchases. Chargeback rates are implemented to protect the merchant account provider in the case of returned merchandise or repudiated transactions. Your chargeback rate will take a percentage of your total monthly sales – and the specific percentage is determined by what kind of product or service you sell, as well as your chargeback history. Chargeback Fees: Some merchant account providers will charge you a fee (beyond your chargeback rate) for every chargeback you incur. If your business typically receives a disproportionately high amount of chargebacks, then chargeback fees – compiled with a chargeback rate – can hit you hard. When researching a prospective merchant account provider, you need to evaluate the full rate spectrum in relation to your business model, the amount of business you expect to transact, your per transaction profit margin, and the category of goods or services you sell. In effect, make sure that your merchant provider does not subject you to a one-size-fits-all approach: there are critical differences between small owner-operated businesses and monolithic corporations. By now it should be clear that an e-business selling a few luxury items will have different merchant account needs than a business relying on high-volume low-margin merchandise. Though significant, rates and fees are still just the tip of the iceberg. You need to balance price with the best overall fit for your company. Here are more critical factors to evaluate. Do a meticulous analysis of the chargeback policy and find out where you merchant account provider stands. 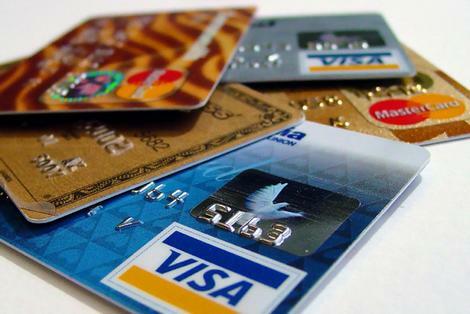 Chargebacks are becoming an increasingly touchy issue with credit card companies and merchants alike, and the dynamics of card-not-present transactions have pushed merchant account providers to ‘deduct’ an increasingly high percentage of transaction proceeds. So evaluate policy. Make sure your prospective merchant account provider has extensive experience working with a wide spectrum of different of business models, both Internet startups and ‘brick and click’ enterprises. If you need more than a merchant account, look for a service provider that can integrate your merchant account needs with your payment processing, hosting, or shopping cart requirements. Integrated solutions mean you keep your infrastructure tight and your customer service focused.